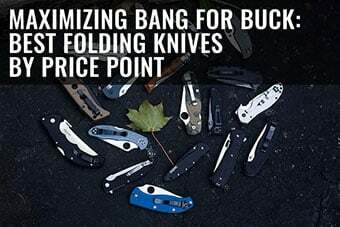 There’s plenty of excellent, cheap survival gear around for those just starting to prep, or for those trying to buff up their already-in-place prepper stockpile. But while cheap, affordable products can take you quite far, there are some amazing big-ticket items you’re likely to want to save up for. I don’t own very many of the items on this list. Some of the items I own smaller, more cost-friendly alternatives of, others are way out of my league price point-wise and to attain them would take years. #18 for instance, which you really only would bother to buy if you had an off grid location of your dreams or had your forever-home which you were planning on using to bug in. There are items on this list that are much more attainable, having price points closer to $100. 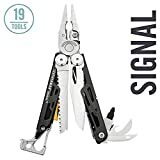 Some gear items listed here are downright cool, while others are, plainly put – extremely practical. Most are one-time lifetime buys, while others, like the emergency food, you’ll hope you’ll never have to use up, but if/when you do, they’ll of course need to be replaced. 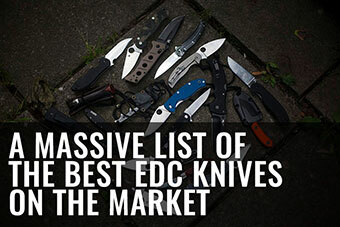 Every item on this list is, in my opinion, is extremely valuable to have as a prepper, and while I’m sure there are many more survivalist wishlist-type items on the market, these are definitely the ones I find myself lusting over the most. Let me know in the comments if there’s something I’ve left out that really should’ve been up on this list. Like I said, I’m sure there’s plenty! Anyway – let’s get into it! 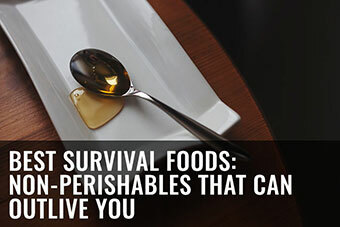 I would never advise you start a survival food stockpile with something like this, but once you have a year or two of long-shelf life survival foods you can grab at a grocery store, and you’ve saved up enough in emergency funds of course, investing in something like this is, in my opinion, serious peace of mind. You, again, hopefully won’t have to use it, but if the time comes when you do, and you run out of your year or two supply at hand, this would come in really handy, especially since it will a quarter of a century before it even remotely starts going off. 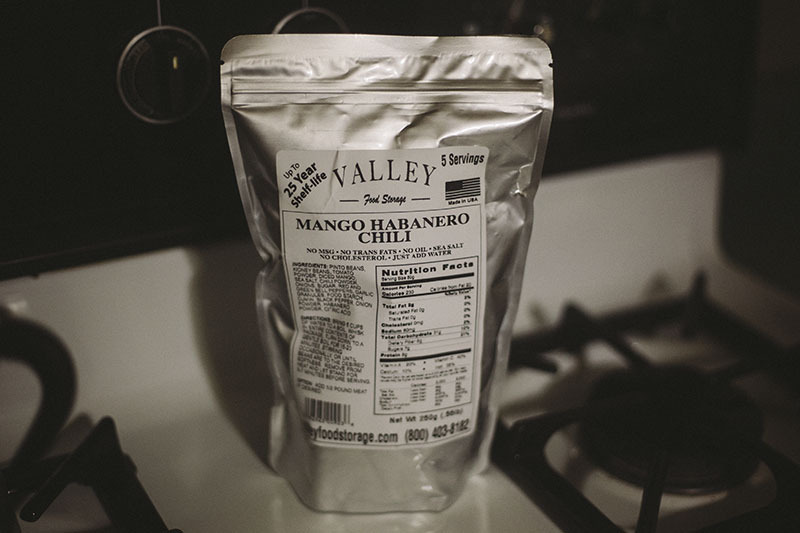 I recommended Valley Food Storage’s offering of this kind because I’ve tried their Mango Habanero Chili with Thomas and we liked it a lot. 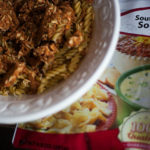 Much better than most MRE/dehydrated survival foods we’ve tried. If you happen to buy from their store instead of Amazon, use our coupon code: morethanjustsurviving10 to check out – you’ll get 10% off your order. 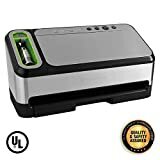 Recommended by Lee in the comments as a better, electricity-free alternative to my water purification solution of wishlist items #5 and #15 combined. Looks like a solid recommendation on his part, so I had to include it on the list. 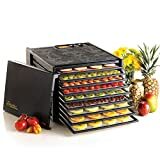 I know it’s not an incredibly expensive product, but a food dehydrator has been on my prepper wishlist for a long time. They’re so convenient, especially when you have ones with so many racks like the Excalibur on hand. Yes, you can dehydrate foods without one, but it’s not as easy to do, and thus for me, makes it much less likely I’ll actually bother to do it. Major wishlist item here. I’m sure I really don’t have to explain why a crossbow would make for a great prepper gear item to add to your stockpile. Hunting and defense applications when things get really bad – oh and regardless, practicing with one of these would be so much fun in and of itself. 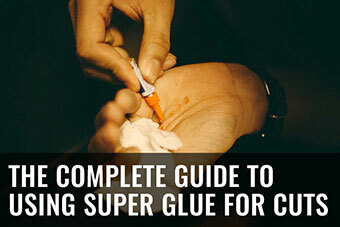 Regardless of prepping, this is one cool item to have and train yourself to use. As a side note, since we live in the UK, this one of the easiest long-range hunting tools we can obtain. It’s one thing to have solar panels, another to have a generator, and quite a remarkably nice thing once the best of both worlds are mixed. Yes, this is high up there on my dream wishlist. No, it’s not at all a necessity, but would it make life one heck of a lot easier if you had this even during a power outage – hell yes. Also – “It takes the same amount of time to charge your device from a Goal Zero power pack as it does from the wall.” How cool is that?? Definitely not a necessity, but a cool thing to have for instances where fire may be hard (or just plain not a good idea) to start and you need to cook something you’ve trapped or hunted. I’m all for having backups, and different ways to get the same job done, and this whole solar cooker idea really appeals to me on those fronts. I mean, how can you possibly deny the usefulness of one of these? I’ve spoken about it before in my article about staying indoors when the power’s out: having a brick room-sized shed/garage separate from the house and put a fireplace there is pretty much my idea of the perfect prepper space to create. And this is the wood-burning stove/fireplace that would go there. In my dreams of course, because first you need to have the right property, then the right garage/shed, then finally I can grab this sort of remarkably useful kind of thing. I’m pretty sorry that I don’t already have one of these, but it’s because – with limited space – I can’t see myself using one as of yet. Once I move into a house this and a dehydrator will likely be two of the first things I buy. Yes, chances are you’ve already got a vacuum sealing system, but for me they’re still on the wishlist! Okay, if you have the ability to carry where you live, an air gun may seem like a ridiculous thing to bother to have – but hear me out. If anything ever changes about laws, if you happen to move to a place where regulations are tighter, or if you just need something much more quiet for hunting than you’ve got, I feel like an air rifle is the way to go. Cheaper ammunition, too. Rabbits are game, squirrels are an easy bet (they’re everwhere!) – if you’re desperate, air rifles are great in a pinch. 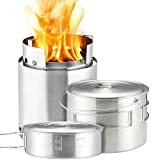 Solo Stove Campfire & 2 Pot Set Combo: 4+ Person Wood Burning Camping Stove. Outdoor Kitchen Kit for Backpacking, Camping, Survival. 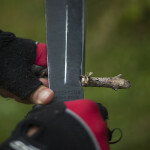 Burns Twigs - NO Batteries or Liquid Fuel Gas Canister Required. Yes, another non-necessity, but I’ve said it before and I’ll say it again, I like having options and redundancies. We have the smaller version of the Solo Stove – the Titan, and it’s great, though we’d prefer a larger size than we’ve got. Solo Stoves are overbuilt, definitely a one-time purchase rocket stove, looks pretty stinkin’ good for what it is, and while, yes, you can totally have a regular fire-on-the-ground, this is one of those things that helps you out in the you-won’t-need-too-much-wood department. And if you’re at all into greyman survival – well you won’t be leaving a mess behind if you use one of these to contain your fire. I find generators that can be transported easily to be a way better idea than just regular generators – don’t know why and let me know if you agree/disagree in the comments. 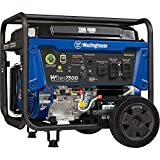 Thanks to the fact that generators have been around for a long time (unlike solar panels I mean), you can get some great products for what’s, in my opinion, a perfectly reasonable cost. 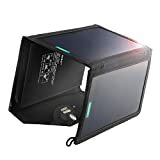 And while I’d prefer to have a solar generator like the one listed at #6, something like this is much more affordable, and gas is easy to get, so I will likely end up with a portable gas generator first. This is one of the items on the list we do have, and by golly it’s great. Definitely not a complete replacement for carrying a proper firesteel, and it would be good to have a better knife on you outdoors, but if you like carrying backups (as I’ve already expressed I do!) this is one of those excellent investments that delivers on its promises. 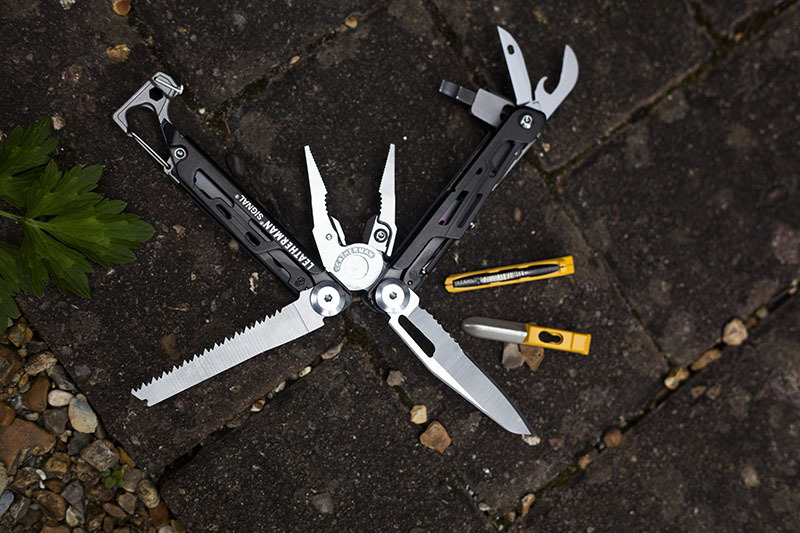 Great multi-tool; but I’m not going to regurgitate information – you want more about it, check out Thomas’ review of it here. Thomas spoke about these in his article on purifying contaminated water. Basically, the reverse osmosis water purification systems, like the one featured as #5, will take care of larger contaminents. Couple that with ultraviolet disinfection and the rest of water purification is pretty well taken care of without requiring anything too expensive. Remember that this system requires electrical power, so you’re going to need to take that into consideration. But with a solar panel generator, it’ll do the trick perfectly. Ned in the comments reminded me that a bike really should be on this list. Of course, I don’t really need to say, but a good mountain bike is incredibly useful in a SHTF situation where fuel is hard to get. Ned mentioned that it’d be a good idea to couple the bike with a carrying rack on the front or back, and if you can, an electric generator. I think that’s a pretty damn great idea; only problem is I haven’t managed to find any electric generators for bikes that actually have good reviews. If you know of one, please recommend one down in the comments section. A lot of electric mountain bikes have hit the market lately. I’ve listed one instead of a regular mountain bike because they can help you travel substantially faster than you would be able to without the extra boost. 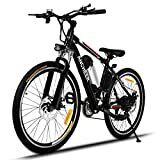 Of course it’s important to get a bike that will continue to work well even after you run out of electricity, in case you only want to use the boost initially, but not waste your precious post-SHTF electricity on bike speed later, which is why the ability to remove the battery off an electric bike completely is very helpful. No one needs to carry dead weight. There are plenty of quality mountain bikes you can get that don’t depend on electricity if you’d rather go that route, as well of course. Regardless, a quality mountain bike should really have been on this list from the start. 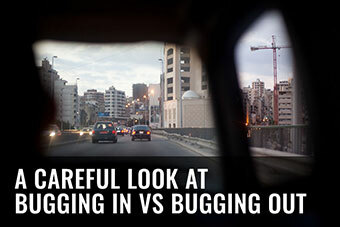 I think these are incredibly useful if you’re planning on bugging out with a vehicle. Just throw it in the car when the time comes and go. Hell, leave it in the car if you want to. Compact, and and excellent way to make sure food isn’t at all an issue in the first 30 days. Like I said, way up there on my #goals wishlist. 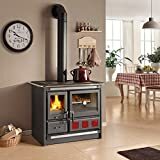 Seriously need to make sure if I get this, it goes into a forever home, as it’d be a complete waste to get it or something like it before, but boy is a wood burning stove like this an amazing thing to have. I don’t even cook, but I do eat, and have always found food is tastier when you cook it the “old fashioned way.” Yum. Disclaimer: I haven’t tried this, I don’t think it’s a gimmick, but it’s something that’s on my wishlist to try regardless. 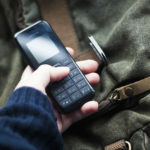 Won’t charge much more than a phone, and probably not even that well, but if I have my emergency back up dumb phone on me plus this sucker, I can always call out for help so long as I’ve got the reception to. Even if I forgot to charge my emergency phone. Nice idea. You might think it’s silly to grab one of these when you can DIY one yourself, but I do often feel like preps that are ugly are kind of frustrating to have to live with in the long-term. Besides, if you’re trying to hide the fact that you’re a prepper, nothing works better than hiding your preps in a pretty package like this. And you buy them once, how often are you going to replace a rain barrel? Pretty much never! Yup. A good solar panel kit is #1 on a lot of our wishlists. I did decide to put it last, but only because you’ve already thought up this one on your own and so didn’t need me to remind you it’s a great prepper wishlist item. 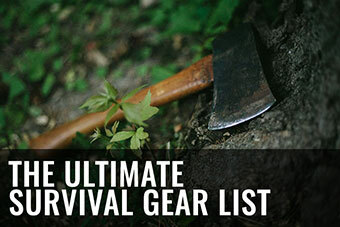 What kind of a preparedness gear list would be complete without one of these? 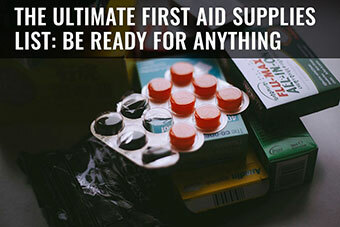 Working on Your Prepper Stockpile? 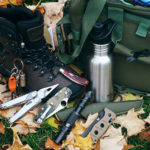 Double check you’ve got every piece of survival & prepper gear you could want/need by comparing your stockpile to our Ultimate Survival Gear List. It’s important you don’t leave anything you feel is important out, but that can be hard to do when there are so many items to remember. And remember that idea I brought up in the intro – about buffing up your stockpile with cheap, affordable items? 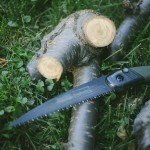 Here are some of the best cheap survival items to do it with. Of course you can also go another route, and keep an eye on sales from stores like Cabella’s, REI, and Patagonia. Want an easy way to check up on these sales? Check out our compilation of outdoor retailer sale, clearance, and discount pages here! Prepper Gear Items You Dream of Having? 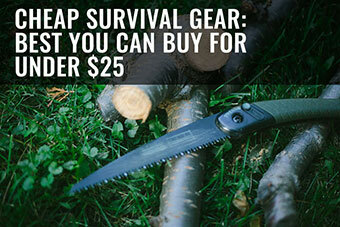 Any prepper gear you’ve crossed off your wishlist because you’ve finally gotten a hold of it? Would love to hear about it! Again, just leave a comment down below! 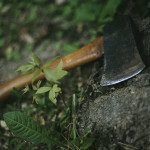 I discovered something not long ago that maybe relevant to preppers, if not survivalists. As everyone knows, using chlorine has been the go to water decontamination method for organic crud in water. In this discussion, I’m going to generically refer to all forms and compounds of chlorine, as chlorine. It’s simpler. If you use chlorine, around the house, (in the form of bleach), you’ve discover even a diluted solution of chlorine will ‘eat up’ anything organic, including cotton material, if the solution is too strong. If you’ve raised kids, and used cloth diapers, chlorine quickly became your new best friend. A five gallon bucket of a mild chlorine solution is where the diapers went after rinsing off a newly replaced diaper. Let it soak, then run it through the laundry. Water treatment centers have used chlorine for many years, swimming pools use chlorine and people with wells, use chlorine, especially if they have livestock in the vicinity of their well. The biggest logistical problem with chlorine, is it’s poor shelf life. Expose it to sunlight, and it breaks down. Expose it to the atmosphere, and it breaks down. If you want it to last, treat it like a mushroom, keep it cool and in the dark, but unlike a mushroom, keep it dry. So, using chlorine, as a prepper or survivalist, for water purification is a logistically no go. Not any longer. I found something new. And when I say found, I literally FOUND five 50# buckets of something called calcium hypochloride. I have no idea what this tenant had it for, there was no swimming pool, and he didn’t work in the water treatment field, and those are the only two purposes I have found for calcium hypochloride. But, this tenant had 250# of it, in five brand new unopened buckets. A few months ago, I was earning some extra spending money from my landlord by cleaning up a newly vacant rental, and being the scavenger I am, I negotiated my ‘bonus pay’ to be anything abandoned by the tenant. I didn’t have any big expectations, so when I saw the buckets, I first thought they were house paint. I drug the buckets home that night and did some research on calcium hypochloride. Turns out it is a stable chemical which turns into bleach when it comes in contact with water. The brand I found is in the form of small, 1″ briquettes; slightly smaller than a charcoal briquet, according to images from the company’s web site. The primary purchasers of the product are water treatment plants. Pool owners are just discovering it, but most aren’t seeing the advantage of having a non-degrading bleach supply. Once they start figuring out the savings from buying calcium hypochloride, and the retail price comes closer to the cost of pool chlorine, calcium hypochloride will become a hot seller. There’s a couple of suppliers on Amazon, but at a price approaching 200.00 a bucket, I suspect most pool owners won’t bite. It doesn’t convert pound for pound. The ones I have yield 67% chlorine by weight. Both brands sold on Amazon do, as well. So, for this new product to become a hotter seller, the cost of a fifty pound bucket is going to have to approach the cost of 33 pounds of pool chlorine. When the price comes down, I’d think preppers should consider keeping some buckets of it around. It might not be worthwhile to plan to use it day to day, but it might make the difference when a sketchy water source has to be used, in the beginning. Or if a good water source becomes contaminated by a dead animal, or such. Hope my discovery helps someone who reads this. I agree with the previous comment of Goal Zero being stupidly overpriced. It’s an easy target as they’re in most stores, but if you check out brands like AUKEY, they make the exact same thing for a fraction of the cost. Goal Zero’s Yeti is pretty rad, but there are defn cheaper options. However, having a mobile(ish) PV cell and battery pack is essential. 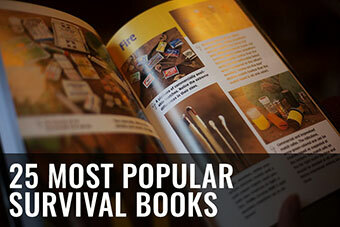 Even in Armageddon I’d want my survival guide PDF I’ve got on my smartphone which wouldn’t work without electricity! I know that you two are really heavily focused on gear, but I think something like having a solid stock of mason jars (various sizes) to fill with preserves would be a far better option then your plastic air tight sealing bags that will quickly run out in most situations. Why not just use ziplock bags if you must? For that matter, you’d probably want to have a big pot and a few key tools to cook your preserving in. Also, what about a bike – perhaps with a electric generator that can couple to it, with a nice rack on the front or back to carry things in it? I really appreciate preparing and actually stepping into a lifestyle more reliant on my own skills and power, rather then something like a diesel generator that would be useless in the event of total system failure. Also, great idea with the crossbow. That’s defn on my list, too. Thanks for recommending AUKEY – never sure when cheaper means a cut to quality, votes of approval make all the difference for what we end up trying out. The reason the vacuum sealing system’s up on this list is because I feel food has a much longer “shelf life” so to speak when its vacuum sealed before being thrown in the freezer. Used to have a lot of power outages when we lived in Toronto, and each time our food would thaw out a little it’d taste worse and worse – except for the one vacuum sealed slab of meat we got from a neighbour which I think withstood 2-3 power outages (one which lasted 4-5 days) and tasted as though it was vacuum packed the day before. I’ve also heard of people vacuum packing rice into smaller one-serving portions, and have always thought that a great idea for cases you might want to throw a bunch into a pack and go, or just generally extend the shelf life of your food/prevent rats and mice from getting into things. Necessary? No. Definitely still something I want, though. A bike is an excellent point; couple that with the electric generator idea – love it! Should add that to the list – will try to get it up tomorrow! I totally agree with item #9 (air rifle), the springer is much less noisy than a powder burning firearm and has very compact ammunition that stores easily. Very few restrictions on where it can be shot too. Perfect for garden vermin eradication. For us (living in the UK) its legislative benefits are the primary advantage, the ability to keep 500 rounds in your pocket is a huge boon too! Thanks for dropping by mate. I can’t agree with your solution for water purification. If the argument is to “also” include scenarios where boiling isn’t practical, there are other options that fit the bill. For us, we’ve been using a Berkey filter system in our home instead of something that needs water pressure or power to serve in both bug out and Flint, MI like scenarios. We use it day to day today. Not cheap upfront but the cost per litre/gallon over time is a fraction of what you’ve proposed – with all due respect. Sounds good to me. Will include it on the list. Also – how does the maintenance work with the filters? Do you have to change on a regular basis? Anything else to keep an eye out for? The ceramic filters in the Berkeys can filter lots and lots of water before they need to be cleaned. Thousands of gallons, as I recall. Also, they come in several sizes, so you can pick one to most closely fit your needs. I bought a “Big” Berkey along with a complete set of spare filters. It is in my supply room along with my FD supplies, and back up emergency paper supplies. There are a lot of great suggestion here..Thank Elise ! I just want to say that not everybody is willing to live with the stain on their soul of putting bullets into someone else. I am not going to live like a terrified animal and arm myself just because the neighbor does so. Surviving does not mean going to war and if folks refused to pick up a gun war would be a thing of the past. Who but a psychotic sociopath would not want that ? Their biggest argument is “that is not the World we live in”. Guess what ? It is the same World with or without War. Maybe it is time to brain up and extend our survival reach and prepper skills to securing a place in the afterlife..or be a champ and at least pretend to have a soul.. I am tired of cowards using fear as justification for murder, and intimidation of others that they may pretend to have power. These are the most pathetic helpless people in existence and here i am putting a bib on these spiritual toddlers once again..
let the spaghetti hit the wall.. I would agree that the moral ground of choosing to not have a firearm is great for some people. I have a family and am prepared for our needs with supplies and learned skills and would not expect to need assistance of others. I am currently working on extra supplies that I might be able to distribute to others in need. I like to help others and do not see the world as an evil place. Unfortunately with a catastrophic event law enforcement is often not available. History and current events in less “civilized” areas has proven that without law then anarchy and predatory animals are often unleashed. I feel that it is my moral obligation to protect my family. If I took the stance that I would go firearm free for moral reasons then I don’t think that I could live with myself if I was powerless to stop thugs from overpowering me then stealing our hard earned supplies necessary for our survival and then brutalizing my wife and young daughter when I might have been able to stop it with force. If accepting the risk of being less able to protect your family is acceptable to you and your family for moral reasons then god bless you and I support your decision. Could I live with the “stain” on my soul for protecting my family from predatory animals using force? Yup. How many “stains” could I tolerate….depends on how many predators and how many bullets I have. I do not live in fear and do not think that my commitment to my family protection as a husband and father makes me psychotic, paranoid, pathetic, a coward or a sociopath and feel slighted at the suggestion otherwise in your post. I would say that each of us must make the moral decision themselves about use of firearms for protection. I don’t judge others decisions and wouldn’t expect others to judge mine. I think I am a realist. A protective firearm can be like a fire extinguisher- you don’t have one because you want to use it or expect a problem but stuff happens. I must agree with Broadwing regarding the Rocket Stove. Why would anyone pay $170 to $230 for a product that you can make for yourself with scrap material? 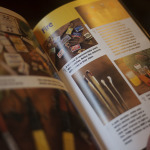 Prepper sites are replete with instructions on how to create one. Regarding the general category of water purification, you have essentially combined reverse osmosis with UV disinfection PLUS the necessity for solar and/or gas generated power. Take away the essential electrical power and you still have to boil your water. 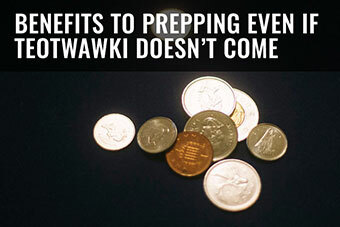 If you do the math, you could invest up to $2500 for your version of water purification. That’s a “big ticket” indeed. Once again, there are abundant information sources that provide instruction for long term water purification that cost far less. Sorry guys, this article is a major fail. Yup, you’re right about the dehydrated food having around half the daily recommended calorie count for adults – but I still feel they’re valuable if you can afford it. A food stockpile that big will a least help you get by for the year, regardless of whether you’ll be thriving. And it’s easier (in my opinion) to supplement a stockpile than to depend on growing, hunting, trapping, or fishing everything yourself, especially if you’re not used to doing it. 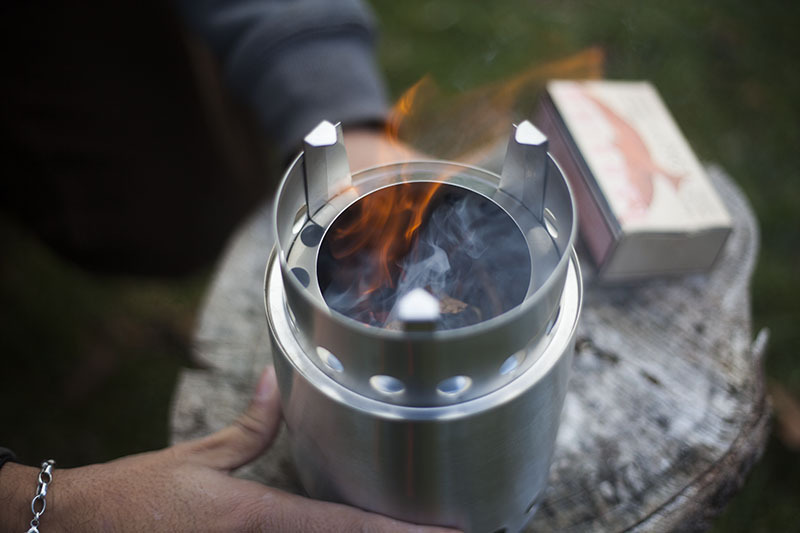 Yup, rocket stove DIYs are easy to find, but to each his own and if I can afford to spend $150 on a good knife, I can also afford to spend the same on a rocket stove that’s good looking, lightweight, extremely portable and a one-time buy. It’s the kind of thing I wouldn’t mind pulling out in front of the sheeple to have a BBQ or go camping with, and that makes me happy one way or another. Just like the rain barrel, I could DIY one myself, but it’s unlikely to look even a fraction as good (especially with my incredibly poor DIY skills), and so I’d rather just buy one and be done with it. 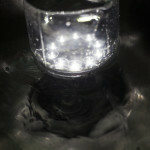 With regards to water purification, am not just considering grid-down scenarios – am also considering solutions for events like Flint, Michigan, where boiling water isn’t practical as you’re still going about your day to day life, though you still have access to the power grid irregardless of contaminated water. Also, yes, it’s expensive to have a system like this with the grid down, but if you’re not talking budget prepping, I don’t feel spending $2500 on a quasi-permanent water purification solution for a home is unreasonable. 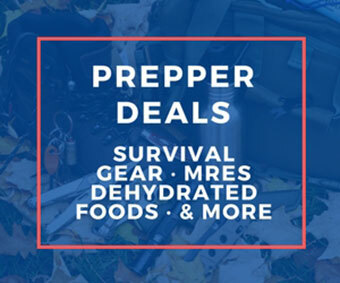 Again – talking wishlist/big-picture prepping ideals here, not how to maximize your bang for buck with regards to prepper gear to buy. I also don’t need a $2,600 wood burning stove in my house, especially if I’ve got a fine workable one in the garage, but that doesn’t mean I can’t dream about having one. Thanks for your comment, though. Definitely see where you’re coming from. People can get quite uncivil when starving or in trouble therefore force multipliers like night vision/thermal scopes using solar recharged batteries on suppressed rifles can let you avoid trouble or end a threat like nothing else can. Walkie talkies with ear buds and whisper microphones can also be force multipliers. That equipment should be protected in faraday cage. An early model (EMP resistant) diesel tractor with fuel can help grow food and offer transportation (with a wagon) and might save the day for your family or community. Excellent points – these are great suggestions. I definitely haven’t looked into night vision/thermal scopes as much as I ought to have. Walkie talkies with ear buds and whisper microphones – not sure why I never though of that but really smart to go that route over regular ones! Suppression of firearms is a good idea for night fighting, but do your research about suppressors and suppression before committing to a 3-400 dollar solution as well as the $200 tax stamp per suppressor. For $500 I can build another AR platform rifle or shorty pistol. And don’t forget that suppressors aren’t magic; the piece still makes enough noise for everybody within a half klick on a totally silent night to hear it. My primary charge has asked me to collect enough firearms so that everybody in the extended household can be holding something that goes bang. The number of barrels protruding from firing slits is more important in my case than a single, mostly quiet mechanic. I agree. A suppressed 22lr subsonic round is about as loud as a pellet rifle but other larger subsonic cartridges simply make shooting without hearing protection less likely to cause permanent hearing injury and are quite audible for quite a distance. The nice thing about suppressed subsonic 22lr shooting is that if hunting small game the noise signature is minimal so easier to hunt stealthy and could still be used for defense since many people have been killed with 22lr . If you already have firearms for all your group ( most of us cannot shoot multiple rifles at same time) then why not then use force multiplier for your group such as communications and night vision gear to increase the effectiveness of the group. You are right about the costs for suppressors. There is also about a 10 month delay after suppressor purchase for government approval. Don’t mention that night vision can cost about $3000 and thermal can run up to about 13k. That’s why I would list it as a big ticket item- but what a force multiplier it can be! 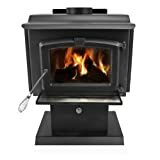 If I’m bugging out, I want a lightweight stove such as an Esbit, alcohol or fuel tab is adequate to boil water, not a large wood burner stove as I don’t need the extra weight in my BOB or GHB. JIf really needed I can build a rocket stove using empty cans and a metal hole punch or my leatherman tool. If I’m bugging in I have a BBQ or two I can use with charcoal, or wood. Both the air rifle and crossbow are on my wish list as I have qualms about having a firearm although I recognize they are useful. My personal weapons consist of a large machete, surival knifes, a SPAX axe, hatchet, several fighting knives, and a slingshot for now. Yes, I know I might need a rifle, shotgun, and pistol. I’m ex miItitary, and have used all three. I’m just hesitant for safety and personal reasons. Solar power is great however Goal Zero is very overpriced. You can get much cheaper solar set ups for far less money and again weight considerations. Again I would also look for a cheaper gas generator with high wattage, if that’s what you need for bugging in. If your a smart prepper you constantly look for bargains, and personally, comparison shopping has saved me hundreds of dollars. I respect your reluctance about firearms, but at any standoff distance, your machete and sling shot will do you and your family no good. My humble suggestion is to seriously assess what defensive measures might be required in a desperate survival situation. I agree completely. I really want a shotgun, and rifle for security purposes. I’m ex 11C30 Indirect Fire Infantry, and I have an Expert Infantry Badge I qualified for in the late 70’s. My issue with firearms is our propensity to shot first when we’re angry as evidenced by road rage/bar fights/school shootings, etc. We as humans tend to be an angry species nowadays. When I was younger arguments were settled with fists, sticks and stones, or perhaps knives as a last resort? Mortality rates from these encounters weren’t as bad as firing a firearm in anger. I’m just afraid my own anger would cause me to fire first! Combat situations are easy to talk bravodo about but unless you’ve ever killed a live person or had another person shoot at you, you have no idea what you would actually do in a grid down situation. Thomas said he has an Esbit stove and yeah, agrees that it’s pretty fantastic! For a lightweight bug out solution, says he can’t think of a better system in terms of cost relative to performance. Lots of people like mini-gas stoves, but the risk of them breaking always put him off them. That said, course for long-term sustenance/survival, we’d prefer something like a wood-burning stove. Especially taking heating into account. 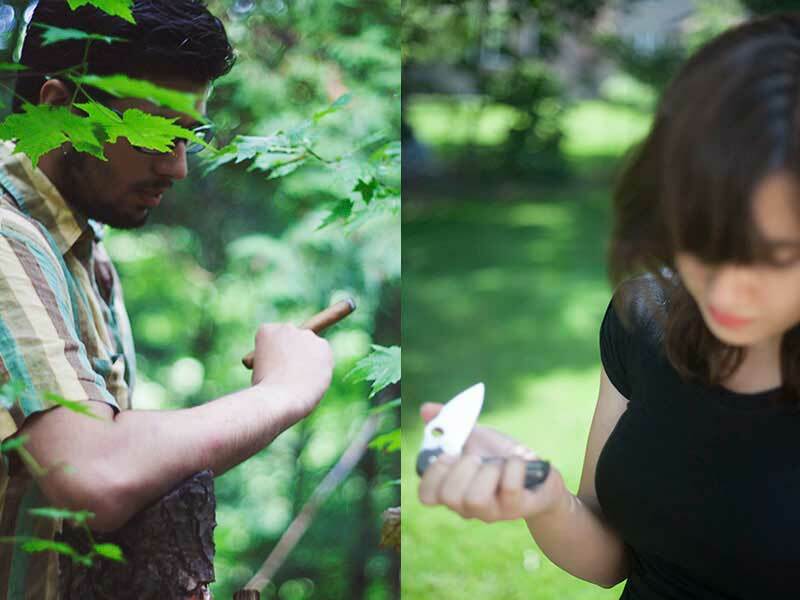 With you on the choice of defensive/hunting tools, but this is more to do with us living in the UK – i.e. not having much of a choice. If we lived in a 2A country, things would be different. And yes, of course comparison shopping is one of the best ways to make huge savings. Any websites in particular you like to shop at?